Whether to keep fit or training to raise funds for charity in a marathon, there are many reasons why you should put on your running shoes and go the distance. Running as a sport is a rewarding pursuit for both mind and body. 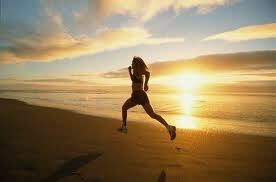 On top of keeping you fit and healthy, the simple act of running rejuvenates and empowers you. A study done by Erasmus University in Rotterdam, Netherlands in 2006 found that people who run 30 minutes, five times a week, extend their lives by three and a half years. And if this does not provide enough reason for you to take up running, a study done by the University of British Columbia in Canada in the same year found that if you increase the amount of calories you burn through physical exercise by 1000 calories or about 16 kilometres per week, you can reduce your risk of premature death by 20 percent. The study also found that moderate amounts of running can decrease bad cholesterol levels, lower blood pressure and improve heart function. Other than physical benefits, ‘runner’s high’ – the release of endorphins upon achieving significant distances – is often quoted as a great motivation that keeps you going when you run. According to scientists from cambridge and the National Institute on Aging in Maryland, running generates new grey matter in the brain. This means that running can literally improves your memory! Ready to hit the track? This sport is by nature an inclusive activity suitable for all ages, and unfettered by the need to purchase expensive equipment. Perhaps for these reasons, running has become popular in recent years. Other than landmark races like the Standard Chartered Marathon, many new races have made their marks on the runner’s calendar. Some races are even interest-specific, such as the charity fundraiser race MILK run, the cold storage kids run and the women – only great eastern women 10K, nike goddness 5K run and SHAPE run. That said, like many other physical activities, running is not without its risks. It takes more that sheer willpower and determination to complete the desired distance, and pushing beyond your body’s limit may result in unnecessary injury. Call +65 6471 2674 (24 Hour) for treatment to your running injury.